My husband and I heard the folk singer Ellis for the first time at a performance of A Prairie Home Companion on June 1, 2013, when this public radio show broadcast from our city of Ann Arbor, Michigan. We had never heard of this delightful young singer-songwriter before, and we were both blown away by her voice, her singing style, and her presence. She has been called, "A feel-good musician" for a reason -- you feel better from listening to her! You can listen to Ellis too, on the YouTube videos I included here, and on CDs and mp3s. Maybe you'll also be lucky enough to be able to attend one of her live performances. I've always enjoyed listening to acoustic folk music ever since I was very young. The music I like best is lyrical, often with a message of hope, joy, or inspiration, or with an entertaining story to tell. It helps if the music is sung by someone with an exceptional voice and who easily connects with their audience. It's even better when the music is something I can sing along to! The music of Ellis (she just goes by this single name professionally) has all of these qualities. When my husband and I went to the live broadcast of A Prairie Home Companion on June 1, 2013 in Ann Arbor, Michigan, we had never heard of her. We quickly became fans during her first performance of the evening (the whimsical and inspirational How Would it Be - look farther down this page for a video). Did you have time to listen to the video above, "Wherever You Are"? Don't you agree that she has a beautiful, clear and captivating voice? The next video is also of a song she sang that evening (although this recording is from a different concert). Ellis loves coffee, and she sings a loving ode to her favorite beverage in this fun Coffee Song. You'll also hear her signature infectious laugh (it makes me giggle each time I hear it!). When I've had my cup of coffee"
If you love coffee, you'll love this song. 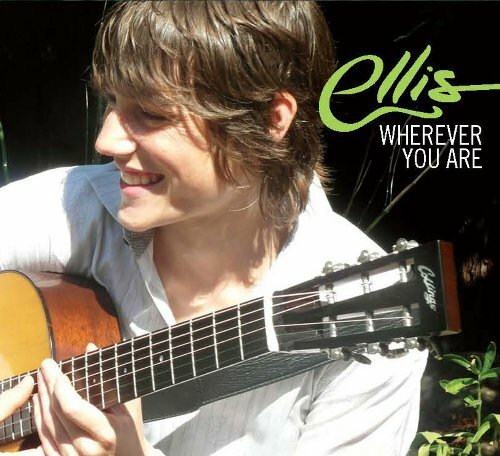 The four songs featured on this page in video form are all on Ellis's most recent album "Wherever You Are". You can buy it as a 3 CD set or in MP3 format. The first two CDs are of a concert recorded live, including her "patter" in between songs. The 3rd CD includes some of the same songs but without all of her commentary or of the applause. You can also buy just your favorite songs in MP3 format (but really, they are all very good). Ellis Delaney grew up in Texas, but moved to Minneapolis, Minnesota when she was 16, where she started singing her own songs at open mics. Some people have described her as, "Texas friendly, and Minnesota nice." She was in a couple of bands, one in high school, and another in college, before she went solo in 2000 and started performing at various women's music festivals and folk music festivals. Ellis has won a number of awards including "audience choice" awards such as "Best Singer" and "Most Wanted to Return" at a few folk festivals, and also song writing awards. So far she has seven full length recordings, including her most recent, Wherever You Are, which was released in 2013. Ellis has a strong background in mindfulness meditation and Buddhism, which are reflected in the lyrics of her songs and in her overall philosophy of life. On her website, she says her "deepest wish is to open people's hearts." (From her Mission statement.) She writes that songs are powerful and at their best, they have the power to "connect people to themselves and to one another." See Ellis' biography on her website for more information. My husband, who has a strong mindfulness meditation practice, quickly picked up that Ellis also has a similar spiritual background. At a house concert we attended (see below) he had the opportunity to ask her about it, and found out that she belongs to a Buddhist mindfulness meditation center in Minneapolis. This type of mindfulness practice can help us to develop the ability to live more fully in the moment, and to develop more wisdom, kindness, and compassion toward others and ourselves. These qualities come out in Ellis' lyrics. Listen to "Right Now" or read the lyric sample below that video for a good example of this. There's also a song she sings, Tigers Above, Tigers Below (another YouTube video) that refers to an ancient Buddhist story about finding contentment in this moment, even if our lives are in shambles. From "How Would it Be"
Was turned upside down opposite from your point of view"
You can expect to wear out people close to you"
"It is love that will carry you home. It is kindness that holds back the storms around you. The only truth is what we do with right now"
After hearing Ellis during the broadcast of A Prairie Home Companion, I looked her up online. I found her YouTube videos (some of which you can watch from this page), I looked her up on Wikipedia, I found her website (Ellis - Wherever You Are), and I followed her on Facebook. I think it was on her Facebook page that I found out that she was coming back to our area for a December 2013 house concert. Marvelous! My husband and I attended, along with maybe 25 other people of all ages (from children to people in their 70s), where we all sat on folding chairs or couches in someone's living room. What a wonderfully cozy and intimate experience! Her partner and daughter were also there. (Both are delightful!) And, yes, there was coffee. We sat next to the guy who may have been responsible for Ellis being a part of the June 1 broadcast of A Prairie Home Companion. At least he told us that when he found out PHC would be in Ann Arbor then, he emailed Garrison Keillor and requested that Ellis be a part of the show. We bought our copy of Wherever You Are at the house concert, and she signed it (as you can see from the image to the right). It says "Yes! Much love, laughter, & music! Ellis"
Have You Heard Ellis Sing? 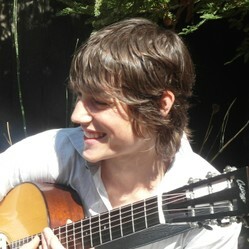 Do you know of this talented singer-songwriter? Yes, and I love her music and her joyful, open-hearted personality! Yes, although that's not really my type of music. No, I've never heard of her, but I like the music that you feature here. No, and I probably won't go out of my way to listen to her music now. Our signed copy of "Wherever You Are"
What Do You Think? Do You Agree That Ellis is a Wonderful Singer-Songwriter? I hope you had time to listen to some of Ellis' music from the videos on this page. You may decide that she is also one of your favorite singer-songwriters, as I have.